My family loves going to Disneyland. I get a lot of questions about the best places to stay at Disneyland with kids. 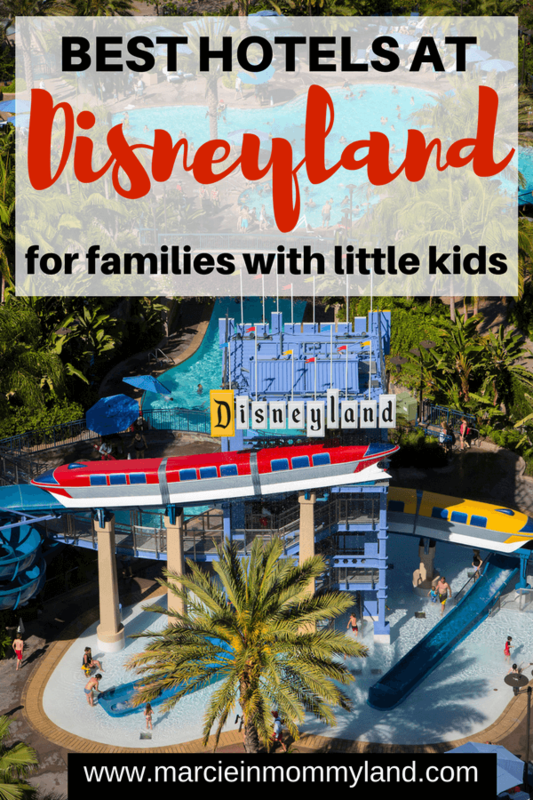 Since we’ve only experienced two hotels there, I asked my blogger friends to share their favorite Disneyland hotels for families with kids. Taking advantage of the Extra Magic Hour, where your family can enter the Parks before they open to the public. Easy access to the Parks, especially if you need to head to the hotel for nap time. Being able to have your purchases sent directly to your hotel, instead of lugging them through the Parks. 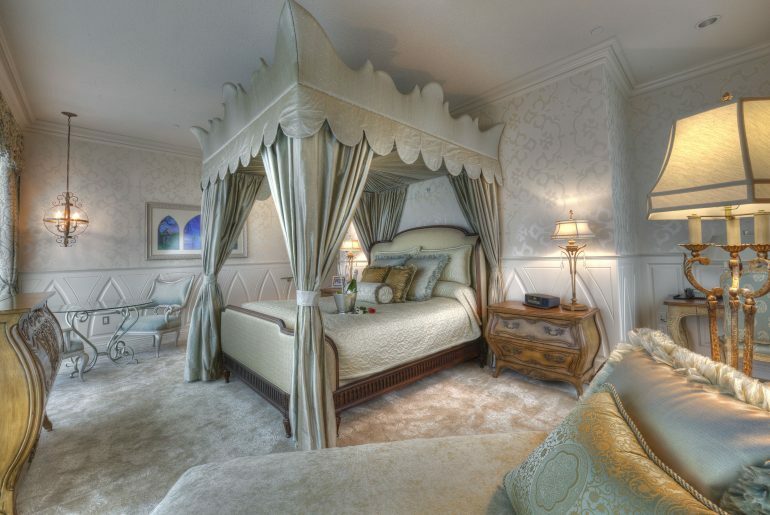 Plus, amazing pools, character dining on-site, wake up calls from Disney characters and more! 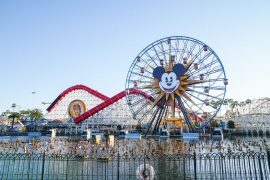 Find amazing deals on Disneyland Resort and Good Neighbor hotels here. So far, my personal favorite hotel on property at Disneyland Resort is Disney’s Paradise Pier Hotel. It’s the most affordable out of the three Disneyland Resort hotels. They have an awesome lobby where kids can sit in little Adirondack chairs and watch Disney cartoons while parents check in and out. 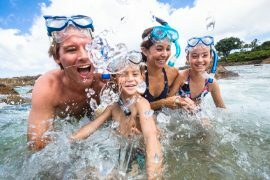 When visiting Disneyland with toddlers, I look for hotels that will go the extra mile for my family. The customer service at Disney’s Paradise Pier Hotel is fantastic! My toddler ended up getting a raging fever in the middle of the night and a cast member opened up the gift shop at 3am so we could get a thermometer and medicine. I will forever be grateful that we were able to immediately attend to our sick child thanks to their quick service! You can read more about my review here. Tara from Travel Plus Family prefers the Disneyland Hotel when traveling to Disneyland with children. “The Disneyland Hotel is the original Disney hotel; the first in a long legacy of amazing accommodations with superb customer service standards. From the hotel lobby’s tea cup chairs, to the Monorail themed pool, to the singing headboards, the Disneyland Hotel is ideal for families wanting to maintain the Disney theme inside and outside of their park visit. Over the years, the hotel has gone through many renovations, but it still holds true to its old school charm while providing patrons with modern accommodations and fantastic amenities. 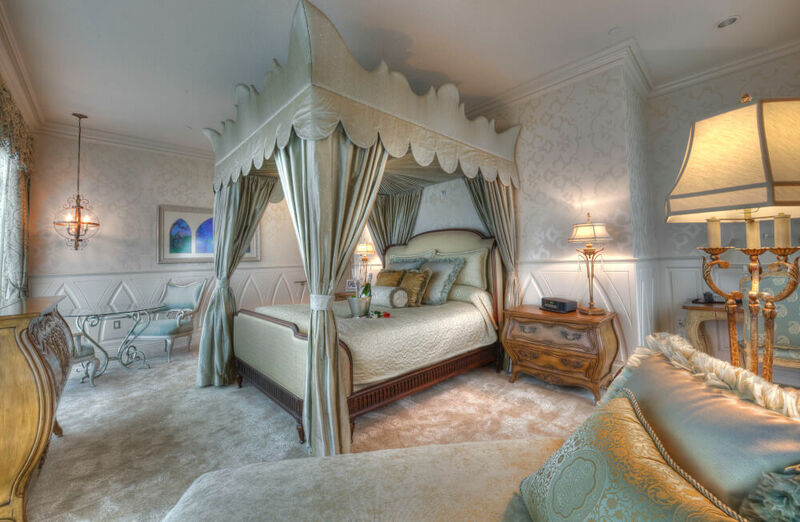 The rooms are comfortable, contain a mini-refrigerator, and have subtle Disney touches. The classic Disney decorations make you fully aware you are on a Disneyland vacation without being overtly cartoonish. This hotel is positioned on the opposite end of the Disney property line, with the numerous restaurants and shops of Downtown Disney sitting between the hotel and the park entrance. Read more of Travel Plus Family’s review of the Disneyland Hotel here. 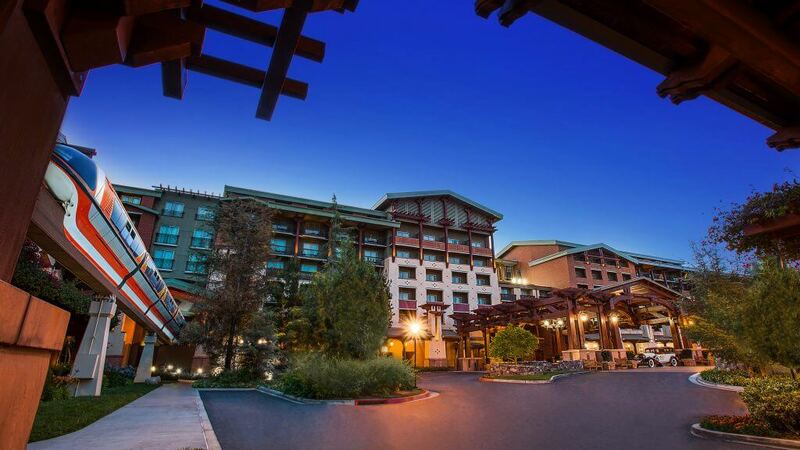 Sia from Thrifty Northwest Mom loves the Disney’s Grand Californian Hotel & Spa for families with small children. “Our first visit to Disneyland, my oldest was 3. Our next child was 6 months on their first visit. While we have stayed at many hotels, the Grand Californian Hotel and Spa is our favorite, especially when traveling with young kids. It is the closest to parks, perfectly situating it for mid-day nap or pool breaks. They have their own entrance into the California Adventure Park, and into Downtown Disney, making it easier to navigate in and out of the parks. Another thing I love is that it sits right next to the Redwood Creek play area, which is great for young kids if you want to take them out for play time, only steps from the hotel. There are many amenities for young kids to enjoy right at the hotel – like outdoor movies, story time by the fire, and scavenger hunts. The pools are wonderful too (themed for kids) and they supply complimentary life jackets to use. 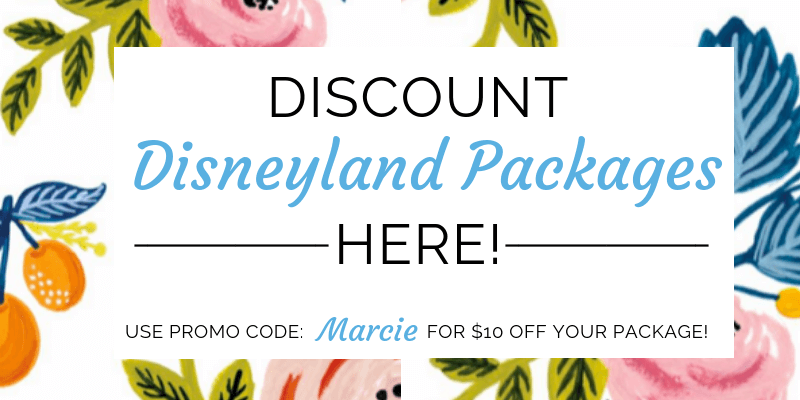 See how you can save money at Disneyland at Thrifty Northwest Mom and follow them on Twitter and Facebook. What is a Disneyland Good Neighbor Hotel? 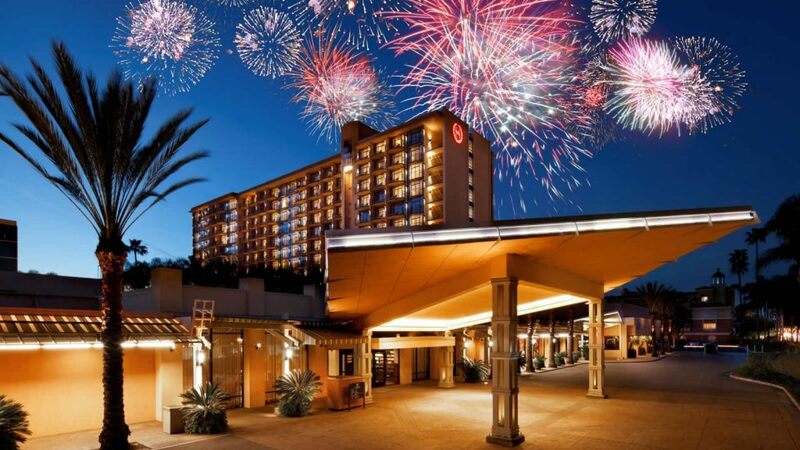 These are hotels near the Disneyland Resort that also have Disney perks. There are currently 49 different Disney Good Neighbor Hotels near Disneyland Resort. When we stay off property at Disneyland Resort, my family likes to stay at the Anaheim Fairfield Inn. It’s awesome for families because it’s across the street from the entrance to the Parks. Plus, there’s a Panera located in the parking lot. We like to pick up breakfast and coffee and then eat while standing in the line for security. We stayed in a room with 2 queen beds and a pull out sofa and we easily fit my Mom, my husband, myself, and our 3 year old and 9 month old. Our room had a sliding door to separate the bathroom sink from the rest of the room plus a door separating the sink from the shower/toilet area. So, 2 adults were able to get ready for the day while the kids slept. 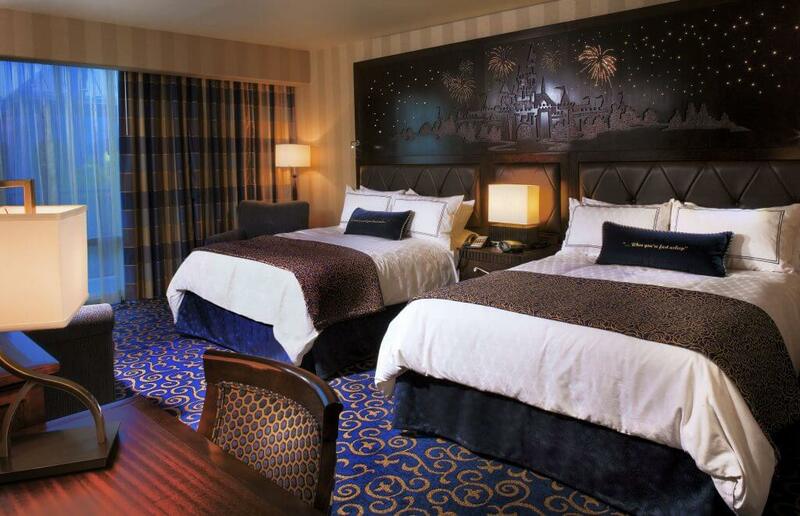 And, if you get a room facing the Parks, you can watch the fireworks show from the comfort of your room. Or, if your room doesn’t face that direction, you can walk over to that side of the building and see it from the open air hallway. Then, instead of fighting the crowds with tired kids, you can just head to your room! You can read my full review here. Nancy from We Go with Kids loves staying at the Sheraton Park Hotel at the Anaheim Resort. 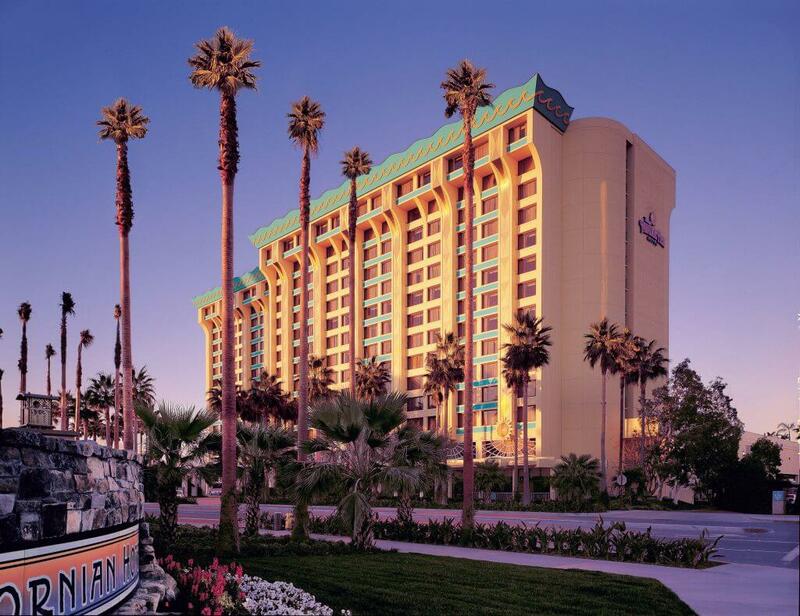 “The Sheraton Park Hotel at the Anaheim Resort is the perfect hotel for families visiting Disneyland. Only a five minute walk from the main entrance to either Park, the Sheraton Park Hotel is perfectly situated close to Disneyland and California Adventure, but also offers plenty to do for those looking for some quiet time. The large pool is the perfect place to spend a few hours cooling down from the Southern California heat, and there is a beautiful deck for outdoor dining if you just need a break from the crowds. Rob of 2TravelDads thinks he’s found the perfect spot for a Disney vacation with kids. 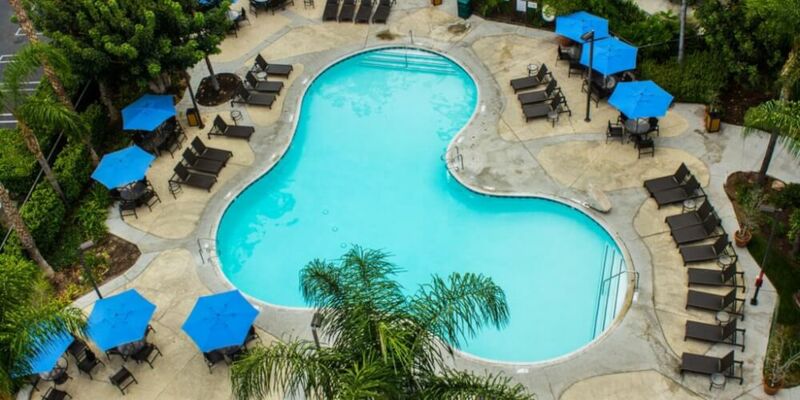 “Despite having worked for the Disneyland hotels our favorite place to actually stay when we’ve taken the kids to the Happiest Place on Earth is the Hyatt House at Anaheim Resort Convention Center across the street on Katella Avenue. We are quite comfortable having a large room with kitchenette. Being there isn’t overwhelming in terms of crowds or Disneyness. There are great pools and public spaces for downtime. A very good hotel breakfast is included. We are able to use our World of Hyatt points for room nights. 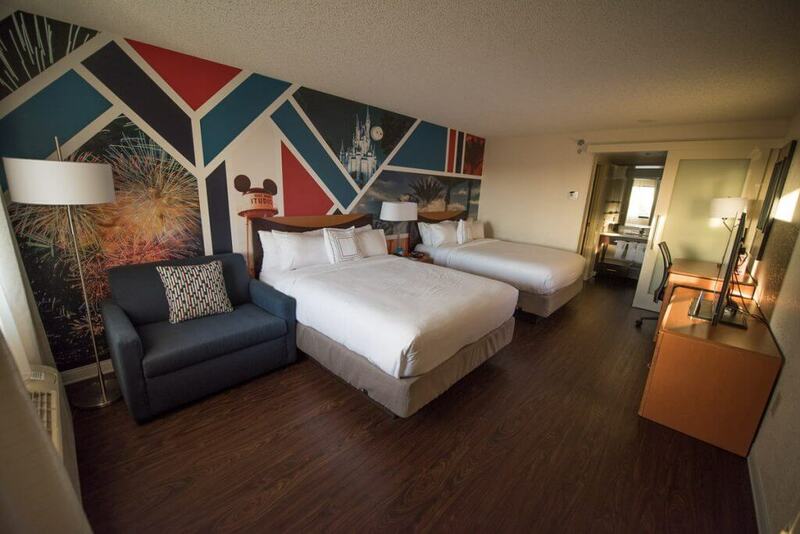 Tori from Victori Media has found a Disneyland Good Neighbor Hotel that’s budget-friendly. 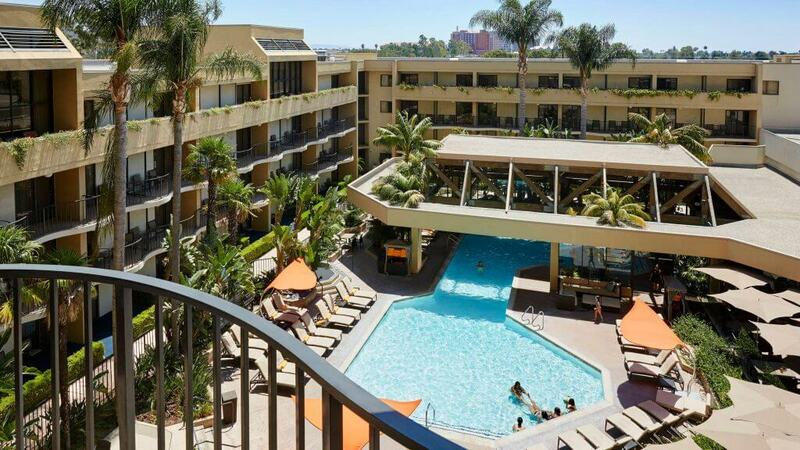 “I’ve stayed twice at Staybridge Suites Anaheim (not sponsored, I just like them a lot!) with a full kitchen; free breakfast, happy hour (snacks and drinks), and wifi; and $5 round-trip shuttle rides to Disneyland. 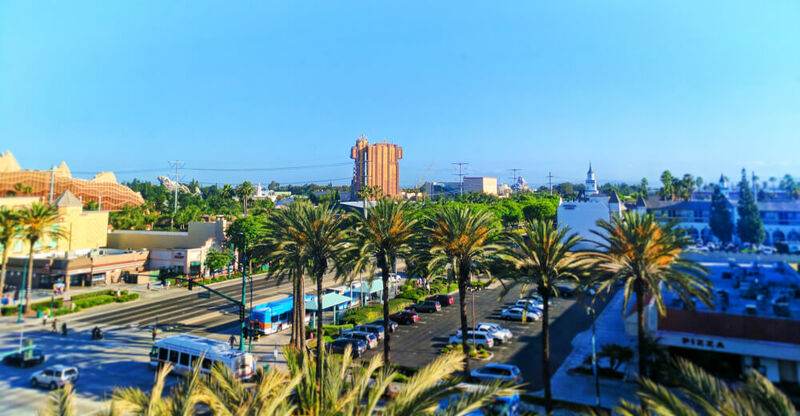 Sally from our3kidsvtheworld recommends staying at the Anaheim Marriott. We recently stayed at the Anaheim Marriott, its about a 20 min walk from the main entrance of Disneyland. If you didn’t want to do the walk there is a shuttle bus that departs from right out the front of the hotel to the entrance of Disneyland so pretty much door to door. If you are traveling with young children I suggest you get the shuttle bus as you will be walking around Disneyland all day and the little ones will get tired. The cost of the shuttle bus is $5 per person. The Anaheim Marriott is enormous and is a fully serviced hotel, the restaurant on the ground floor offers specials that include kids eat for free with each adult meal ordered. This is great after a long day at Disneyland, you can just got back to the hotel and get a reasonable meal without going to far. There is a Starbucks to get your caffeine fix before heading in to the Disneyland Resort. It’s not the closest hotel to Disneyland but it certainly has everything you would expect from a 5 star hotel. 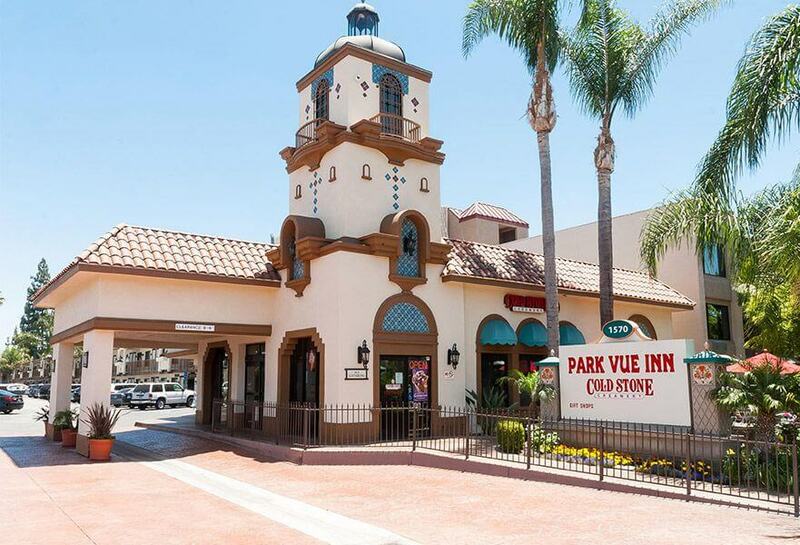 On our last trip to Disneyland, my family stayed at the Park Vue Inn. It’s one of the hotels closest to the Disneyland Resort entrance and most affordable. For our family of four, the room felt pretty big. And the bathroom was huge! You can ask for a room with bunk beds, which is a cool feature. Plus, they offer adjoining rooms, perfect for larger families. While we didn’t try it, they also offer continental breakfast. That’s a great way to save money at Disneyland with kids! They also have a pool onsite! And Cold Stone Creamery is next door! This is great information to know. My family wants to take a trip to Disneyland. It would be a dream come true! We have always gone to Disney World. We hope to come and visit the resorts soon! We’re heading to Walt Disney World this December for the first time!